People sometimes ask me if I have any friends my own age. I always find this a great opportunity to explain that I have friends of all ages, but I am especially privileged to have incredible older men and women in my life. 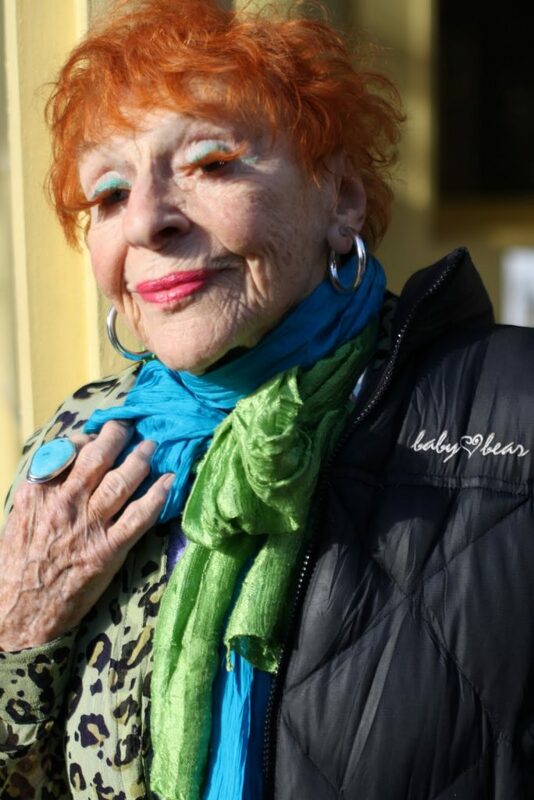 Over the past three years I have become great friends with 91 year old Ilona Royce Smithkin. We get together at least once a week to enjoy wonderful conversations about life, love, and our creative ventures. I always love to share Ilona’s wisdom. I hope you enjoy our latest small video above, where Ilona explains why we shouldn’t worry about perfection. 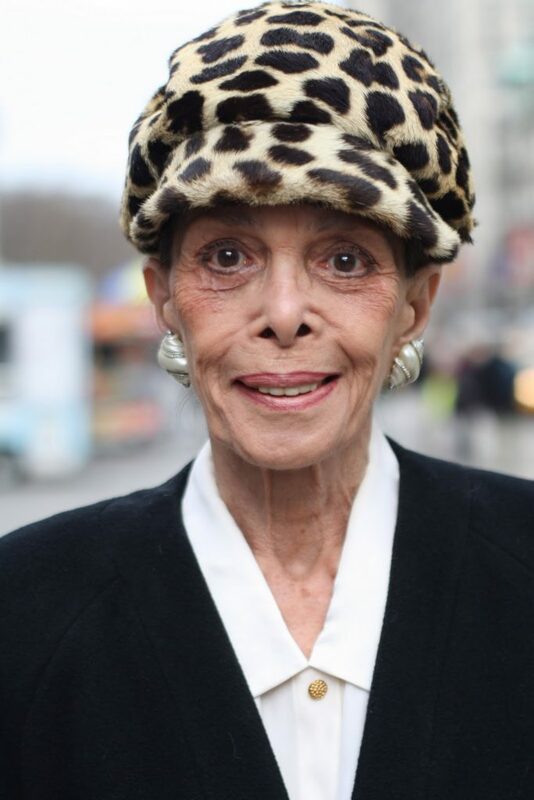 I was style scouting in front of the Met yesterday when I saw Maria from afar.She looked absolutely stunning in her animal print hat and elegant trousers. 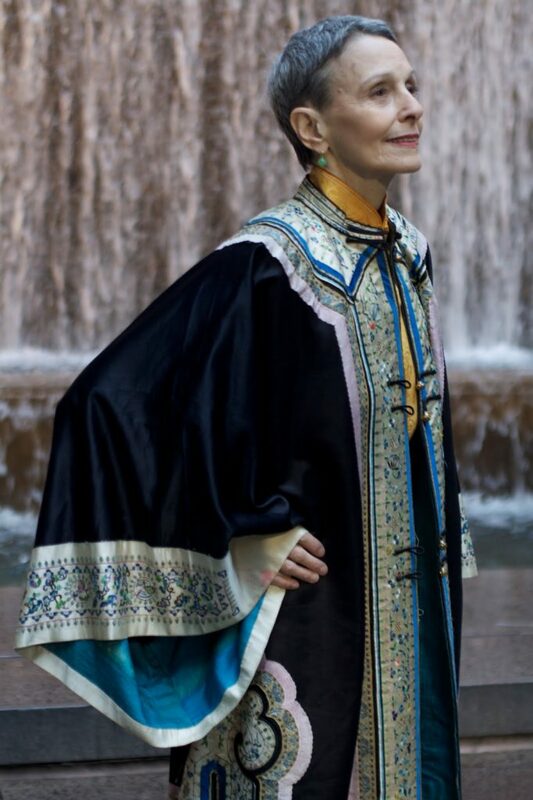 I am always excited when I see someone that inspires me, so I was thrilled when she allowed me to take her photograph. “But I’m an old Lady.” This is a response I hear all the time, when I approach people and ask if I can take their photograph. I always reassure them that they look wonderful and are exactly what I’m looking for. It saddens me to think that these gorgeous,vital, and creative women are made to feel less important and less beautiful as they age. The woman above started off by questioning why I would want to photograph her. After I was finished she thanked me with a big smile on her face and told me that I had made her day. There is no question in my mind, why I would be inspired by this elegant woman. I don’t want my photos to be spectacular and original, in fact I want them to get so familiar and boring that we all get used to looking at age in a new light. Maybe if we shift our attitudes towards getting older a little, the ladies I meet will start replying “But of course, I’m an Old Lady” instead. Should We Ever Stop Playing Dress Up? 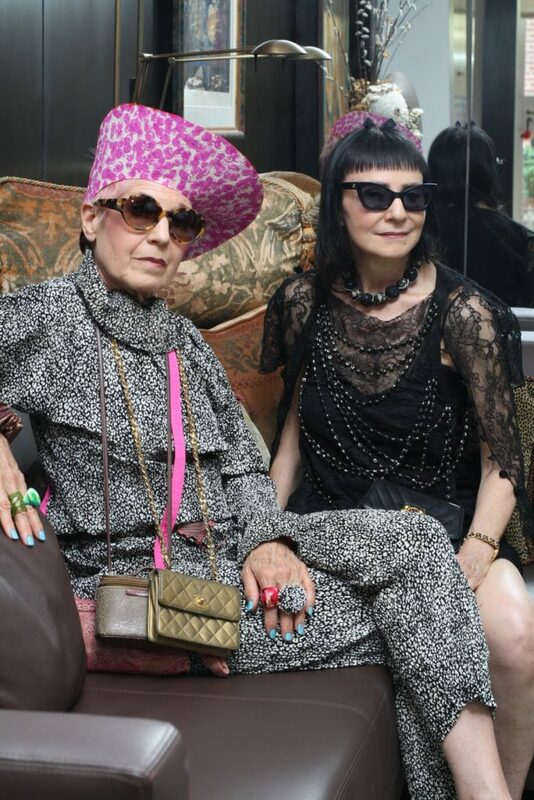 Debra and Maryann share a love of fashion and creativity. Like many of the women I photograph, they feel that style should be fun and not taken too seriously. Each one of them has a unique sense of personal style, but their approach to life and dressing is very similar. Both of these wonderful ladies will have a featured section in my upcoming book . Do you think that we should ever stop playing dress up? Check out Maayan Zilberman’s great interview with the Debra and Maryann below and decide for yourselves. What are some of your earliest memories of expressing personal style? 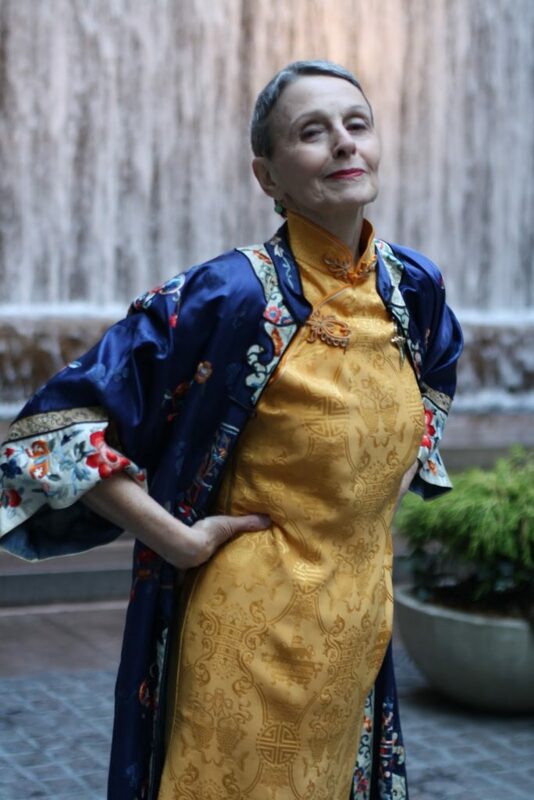 Debra: I grew up in a very creative and open household, my parents encouraged my sister and I to play dress-up with clothes and to express ourselves. I was always very opinionated about layering. When I was 4 yrs old we moved to Florida, and I had a cotton harlequin jumpsuit that to me said, “THIS is Florida!”… It was my first favorite item; it was freeing and made me feel like I could do no wrong in it. Dressing up was always fun, it was never precious or formal. MaryAnn: When I was a child, my aunt was a buyer for the upscale department store Gimbels (this building is now the Manhattan Mall in Herald Square!) so I got to browse her closets and have access to all the high fashion items. She would send me boxes and boxes of outfits, and every time they would be more fantastic. I got to learn early how to play with style, and none of it felt precious. Because it was a gift, nothing ever felt off-limits to play with. Debra: (chimes in after we realize how similar their approach is): If you want an item in your wardrobe, you have to enjoy it…. Don’t be too precious with special items, make them casual- like a diamond brooch on a t shirt, or a tutu as a shawl… its about incongruity! Do you feel like age should affect how much skin you show? Debra: I have a great neck and shoulders, thanks to yoga and good genes, so I like to bare them. I’d say that every woman should try things on before purchasing them or leaving the house, because sometimes you think it looks like too much but its gorgeous. We have to get over these outdated assumptions, that women (or men) can only wear certain things. MaryAnn: A smart woman knows how to play to her good side, with the operative word being PLAY. Dressing up should be fun; you can’t take it too seriously. Many women I talk to have a hard time putting together an outfit, or as we might say, “building a look”. How do you get dressed in the morning? Debra: Building an outfit is a morning meditation. It gets me prepared for the day ahead, and is what will determine my mood for the day. 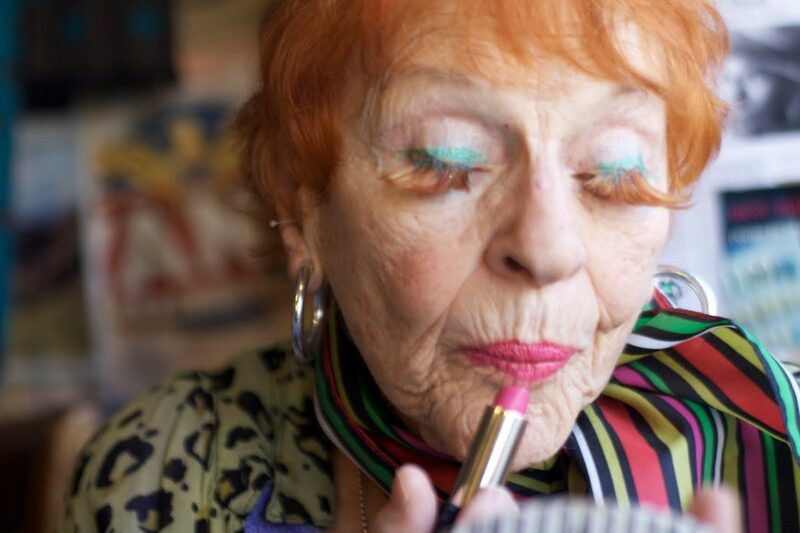 What would you say to someone worried about age taking a toll on his or her appearance? 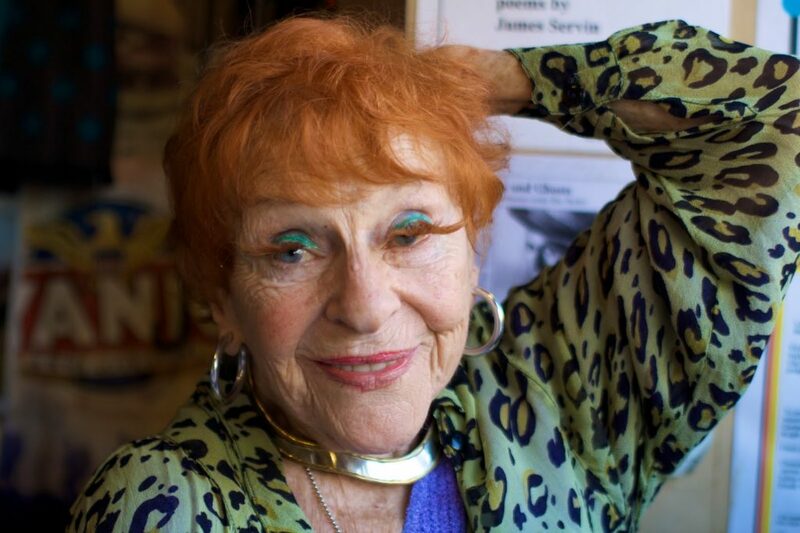 MaryAnn: In order to keep looking young you have to do youthful things, like dressing with expression. If you feel young mentally, you will look young. 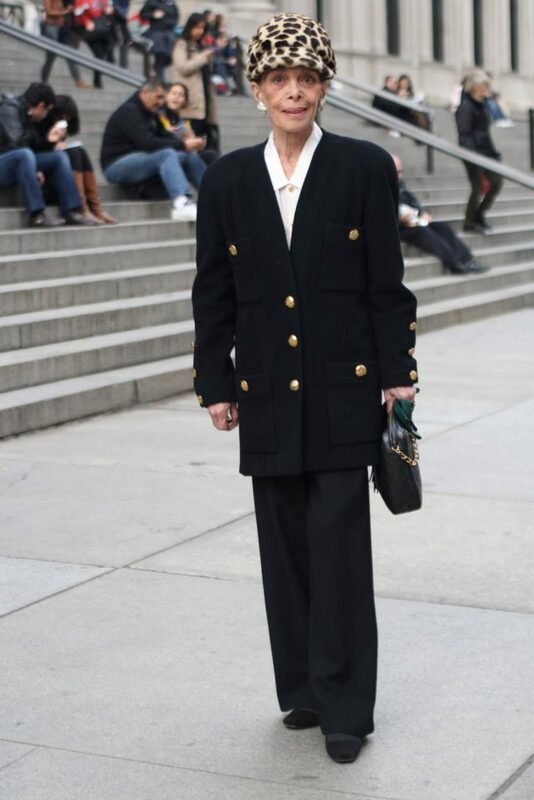 Debra: As you get older you have the confidence to take different style risks, which is inherently youthful. How do you transition your look into hotter summer months? MaryAnn: I wear a lot of leather layers all year, but I play with it, less layers and lighter weight. It’s the same aesthetic though. The jewelry I wear changes, I use more seasonal materials, like shells, for summer. MaryAnn: I’m in love with the Rodarte girls. Those sisters are the most creative designers right now; I love their aesthetic and fabric combinations. My dream would be to meet them. Debra: I love the look of Rick Owens, and Comme des Garcons, but its more for inspiration- once a year I splurge on a designer item, but for the most part I like to work with what I have and just explore different looks. Do you swear by any beauty regimens? How do you have such amazing skin? Debra: I really don’t buy products, my main rule is to only use on your skin what you would consider putting in your mouth… so I use a lot of oils like jojoba, olive, etc… I just recently started using Weleda products; they make a lot of creams for babies. What items do you think every woman should have? And does this change as you get older? 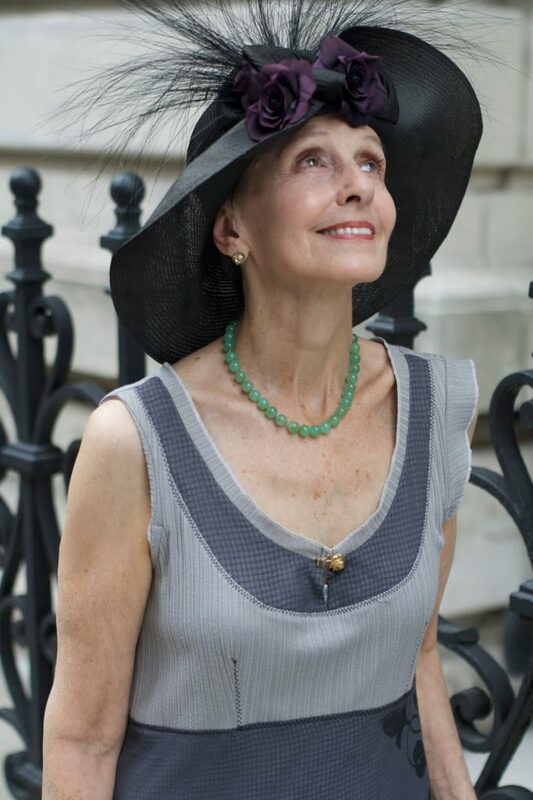 MaryAnn: You always have to have accessories, and lots of jewelry…. And black ribbon. I often have some in my purse if I need to tie something, or I put it in my hair. Debra: Yes, everyone should have layers of accessories, and recycled items (things you use for more than one purpose)…. I always have velvet ribbon or elastic ribbon around to use as a belt, headpiece, bracelet, or for my hair. What about someone who’s never tried dressing this way, what if they want to try something new? 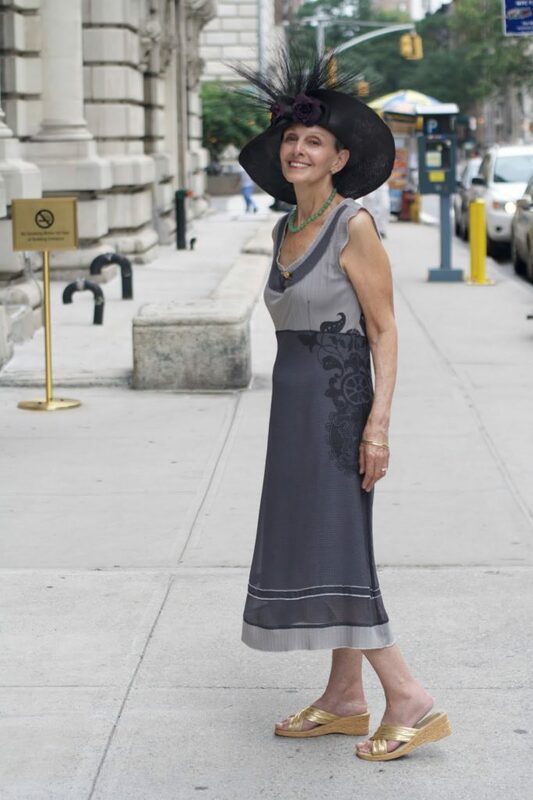 MaryAnn: So much of the time people are cemented in their ideas of dressing and don’t want to change their look to be more creative- I used to try giving more friends advice, but its hard as you get older to change these habits! Debra: To succeed with this I think you need to take it 180 degrees… go to thrift shops so the changes are less of an investment. Spend very little on just a few things so you can play and see what you want to do to express yourself. Go buy some new eye shadow, get a free makeover… anything that feels like PLAY! I asked Carola, from yesterday’s post, about her style influences and evolution. When I first met her, she was all dressed up for the Easter Parade, in a beautiful vintage dress and hat. 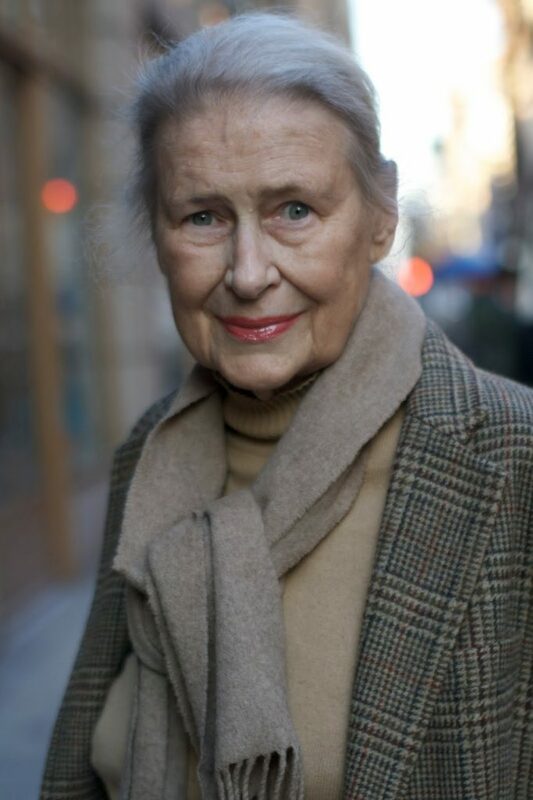 She told me that although she loved fashion, that her style was usually a lot more casual. Since that day Carola has told me that she has been inspired to dress up more. She loves to see how the ladies I photograph dress up and finds inspiration in their personal style. 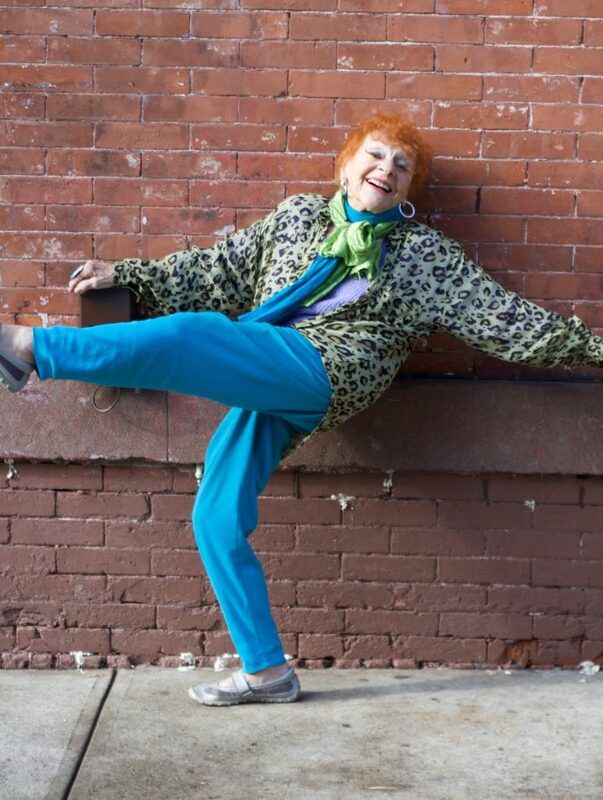 I started Advanced Style in order to challenge stereotypically-held views on aging and style. I am honored that Carola has been influenced by my photos and has rediscovered her love of style and color. Carola is an Advanced Style lady in her own right. Check out her wonderful life and style advice below. 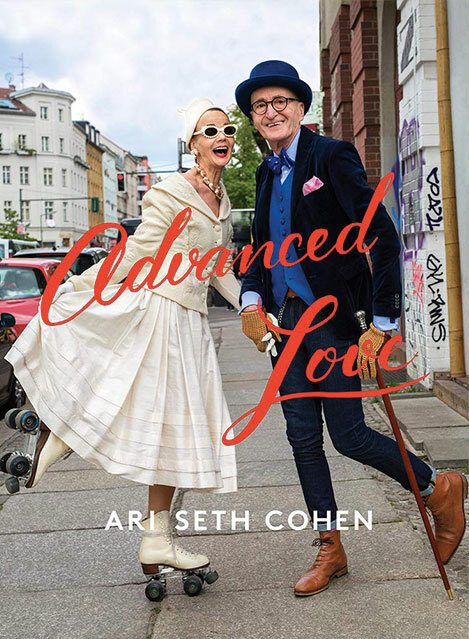 When I first met you, you told me that you don’t really dress up.Has this changed and if so why?Because of you, Ari, I now think much more about dressing up. I have always loved clothes, but now that I am retired I tend to wear “easy” clothes like jeggings !! But when I have a chance to go out I wear dresses which I love. I love color in my clothes and relate to so many of your wonderful women who also love it. What do you like in regards to style? In regards to style I tend to like classic lines – I suppose I might be described as a sixties fan – also forties. I love to see people experiment and express themselves through their clothes and really love all fashion because of its beauty and its gift to people to create and express themselves. I guess my style is casual except when I go out and then I love dresses and jewelry. And color, color, color – bright and rich. 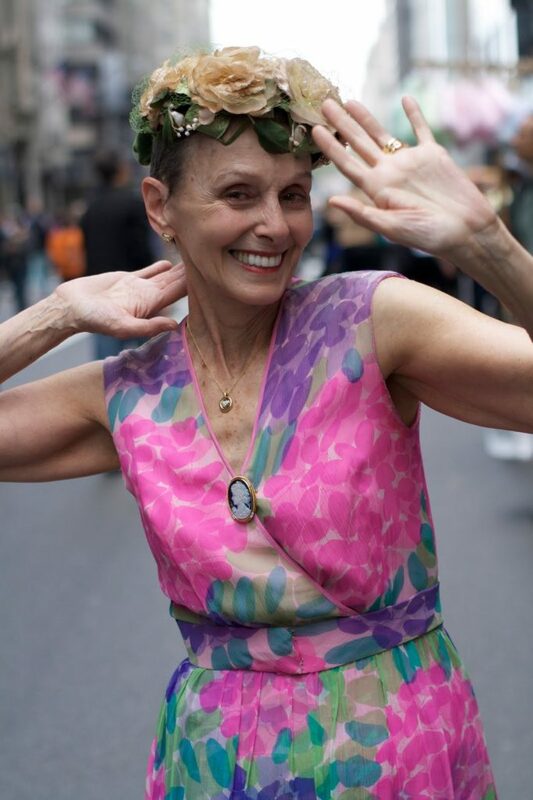 What are your secrets to staying vital, healthy, beautiful as you age? Trying to stay healthy is so important – I walk a lot – I took dance lessons quite a bit – I especially love belly dancing! I wish I could still ride horses which I did as a child and teenager, but this hasn’t been possible for years! I love swimming. My father went for very long walks twice a day until his 90’s and he was always healthy and strong until he got Parkinsons disease – but very late in his life. Did your mom influence your style? My mother wasn’t obviously an influence to me as I grew up. I think because we were in boarding school and wore uniforms – but I think her love of color in her clothes influenced me and the fact that she exposed me to beautiful clothes and even that she dressed me up a lot when I was small although I didn’t enjoy it much then! Any advice for people stuck in a style rut? If you are stuck in a style rut, take a chance and dress from your wildest imagination or fantasy – please yourself! I want to add that you have enriched my life and many others and I want to thank you profoundly.